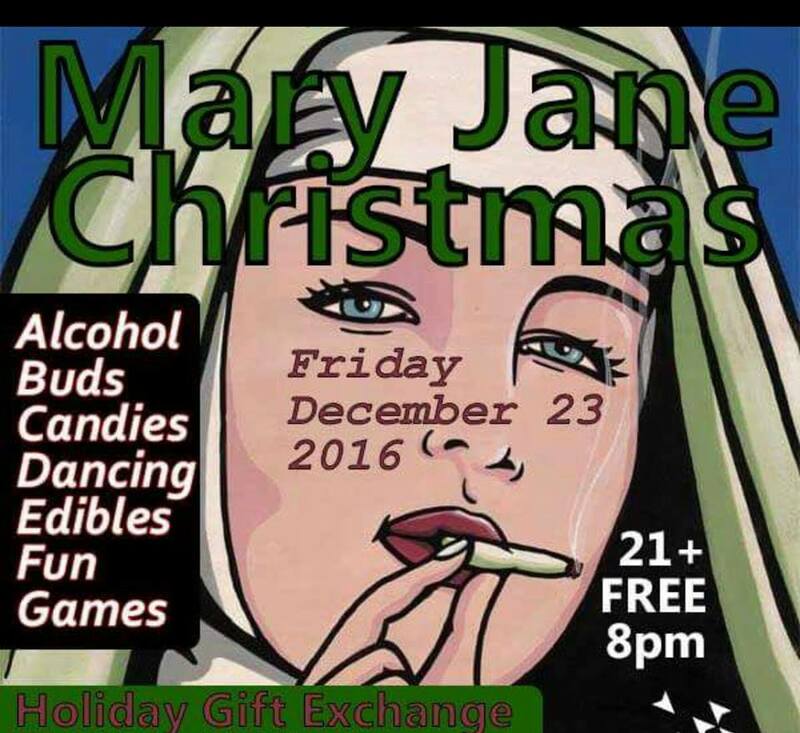 Happy holidays and have a Mary Jane Christmas! 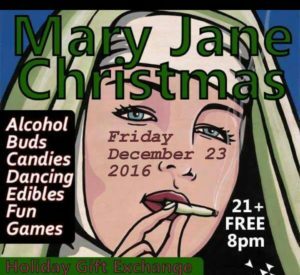 Come join us as we share edibles, discuss our favorite strains of mary jane, and party with our favorite DJs. Entrance to this event is free. Everyone who donates will be given tickets that can be used to play our games or exchange for gifts. What can I do with my tickets?